We custom build to help you meet your production goals. Garmat® USA offers an extensive line of Truck, RV, Custom and Industrial refinishing equipment. We offer standard and custom designed equipment to meet specific requirements for Automotive, Commercial, Heavy-Duty and Industrial applications. Custom engineered to meet your specific requirements. 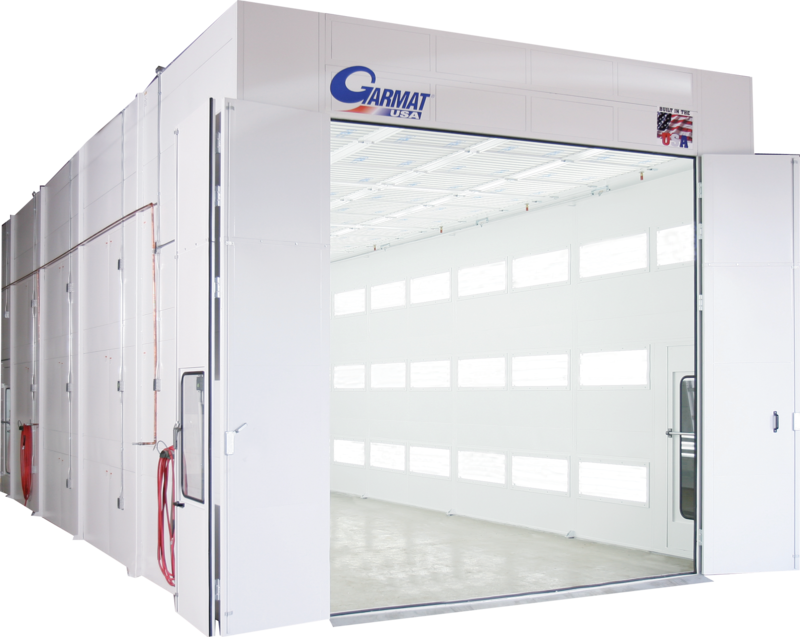 Garmat® USA, Inc. has many installations throughout North America in truck shops, RV paint facilities and manufacturing plants. Standard sizes from 35’ to 70’ in length, with widths and heights starting at 16’. Custom sizes are available. Although full downdraft capability is often desirable, pit-less versions are offered. Single or Double Skin fully insulated cabins. As with all Garmat USA equipment, our Industrial line provides the latest technology in a safe and efficient working environment for your refinish facility. ETL Listed.